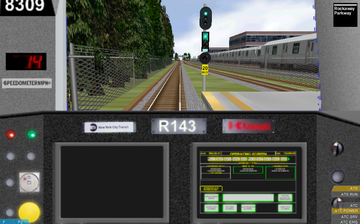 NYCTA R-143 electric subway train. An R-143 unit consists of 4 permanently coupled motorized cars. Two such units are coupled together to get an 8 cars train. Realistic driver's stand with digital speedometer.